Peeple is a connected peephole to screen who is knocking on your door. Whenever someone knocks on your door, Peeple snaps a picture and send it to your phone. This way, whether you are home or away, you can monitor who is passing by your home. Very cool. These Smart Vents tackle the issue of having one room too hot or too cold compared to another and help reduce energy costs by regulating your home’s temperature room-by-room. The Smart Vent retrofits existing floor, wall, and ceiling air vents and wirelessly connects to your home network. The vents then communicate with each other to regulate airflow throughout the rooms of the house they're fitted in. The kind of luxury gadget that makes you wonder how you ever lived without it, this gorgeously-designed and patented stainless steel tap builds straight into any tabletop, and delivers the perfect cup of coffee (or tea, or milk, or filtered water) every time. Did we mention it contains the smallest milk-foamer in the world? Never sacrifice home décor for home theater again. Custom concealment of electronics means you get the absolute best of both worlds. Plus it’s always a crowd-pleaser at parties. Think world-class design, technology and engineering can’t apply to a toilet? Oh, what you are missing. The Numi is gorgeous, functional in ways you wouldn’t imagine a toilet could be, and masterfully water-efficient. There is simply no reason why you have to come home to a boiling house in the summer. Or wake up to a freezing house in the winter. Use your smartphone to manage the thermostat while you’re driving home (or while you’re doing anything else), and connect the app to manage your smoke and carbon monoxide alarms as well. The maid. Your dog walker. Your mother in law. The number of people who need to get into your house at some point can be staggering. And the idea of giving keys to each and every one of them – well let’s just say there has to be another option. Enter Smart Lock, which lets you unlock or lock your door from any location, at any time. Bonus: never worry about losing your keys again! Want to live in the future? It’s already here. Touchscreens on your phone are so last year — install smart wall technology that displays camera feeds, pictures, and web browsing (think easy-to-read recipes) on your kitchen backsplash. All controllable via your fingertip. Wall-mounted bookshelves are almost always an eyesore. Books should stand alone as art, not be wedged into metal brackets and wood paneling. 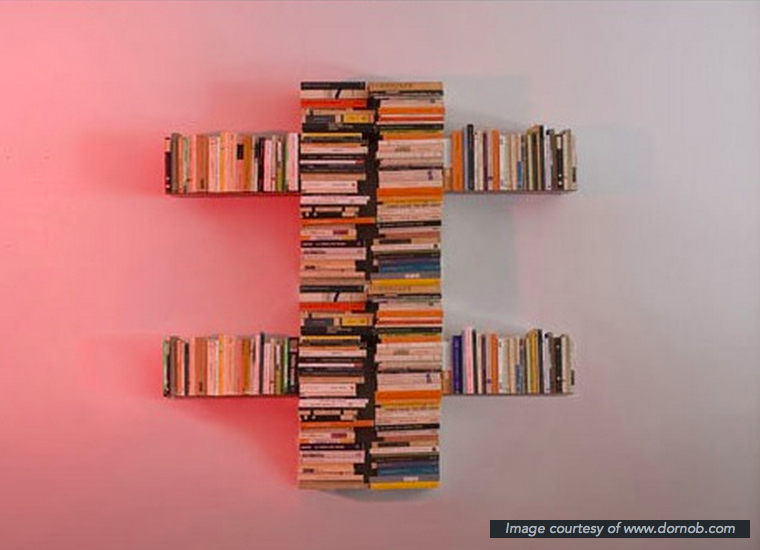 Now there are bookshelves that create a book stack as an aesthetic addition to your wall minus all the extras. As a bonus, they’re cheap and impossibly easy to install. OK. This is insanely cool and has the potential to revolutionize construction in a big way. In case you haven't heard, you can now 3D print... buildings! Limitations in urban areas seem to be that the footprint of the printer needs to be larger than the footprint of the building so space is definitely an issue, for now. Imagine the potential however for being able to 3D-print your tiles, taps, flooring etc... onsite! No deliveries, no handling, no trucks causing traffic jams, just measure, print and install. Genius. Newer PostWill an addition add value to your home? Older PostShould you buy your own materials?